Over all I'm pretty excited about today's post. (I can't talk about overalls without making a bad word play- it's impossible.) I feel like this outfit is so "me" and it's made of a ton of great basics so it's easy to repeat and make your own. 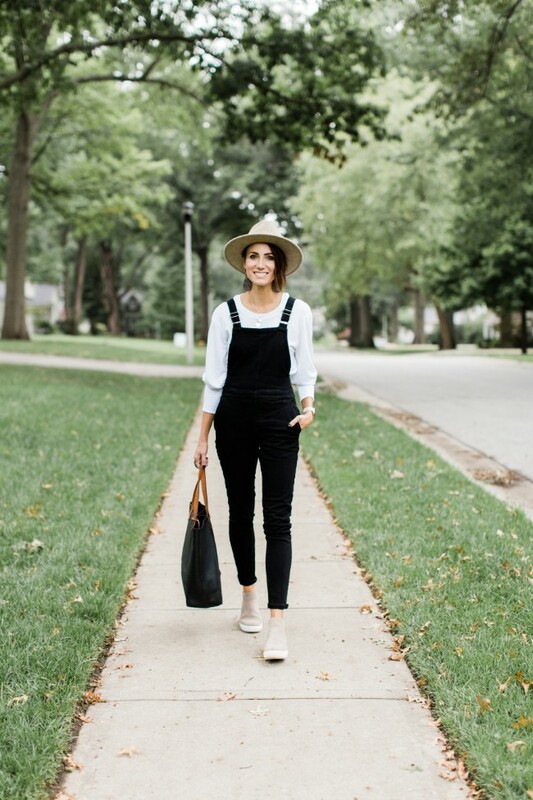 Overalls have been trending for the last few years, but somehow finding the right pair is just like all other pairs of jeans- it takes work! 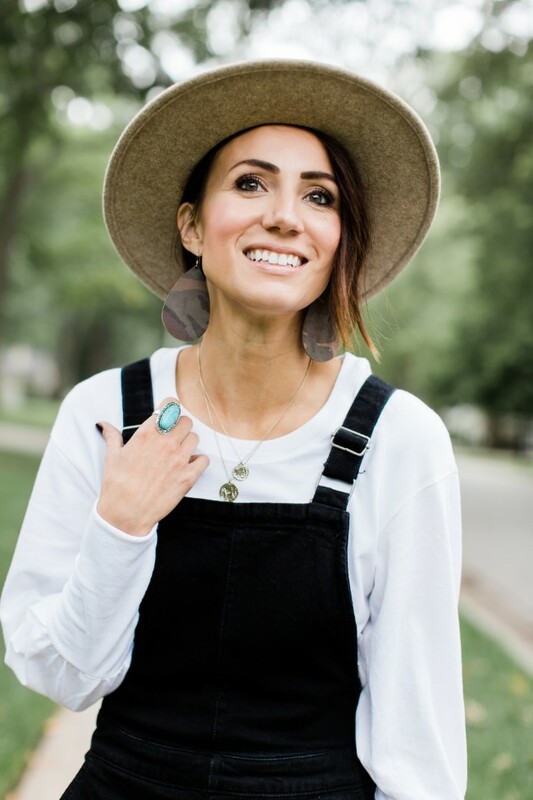 I've tried on many pairs over the years and I've finally found some to love- and so many ways to enjoy styling them! 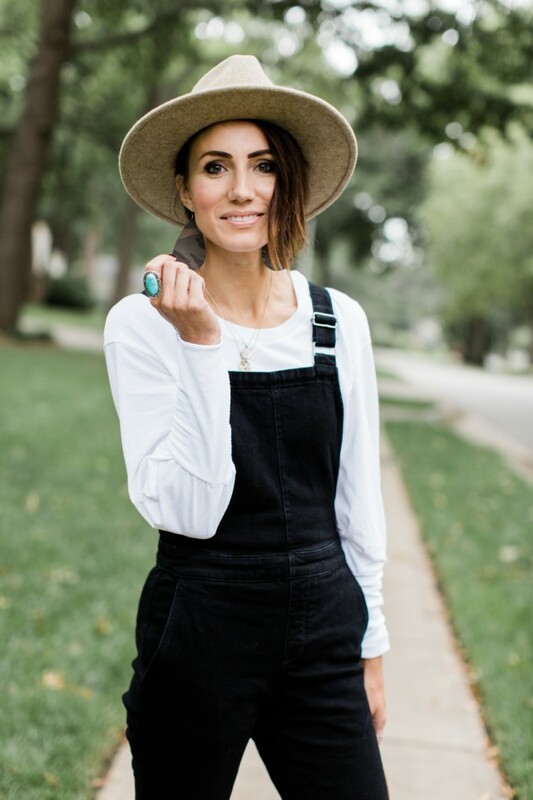 Today I'm collaborating with Nordstrom talking about the qualities of a great overall and how to make them work in so many stylish outfits. 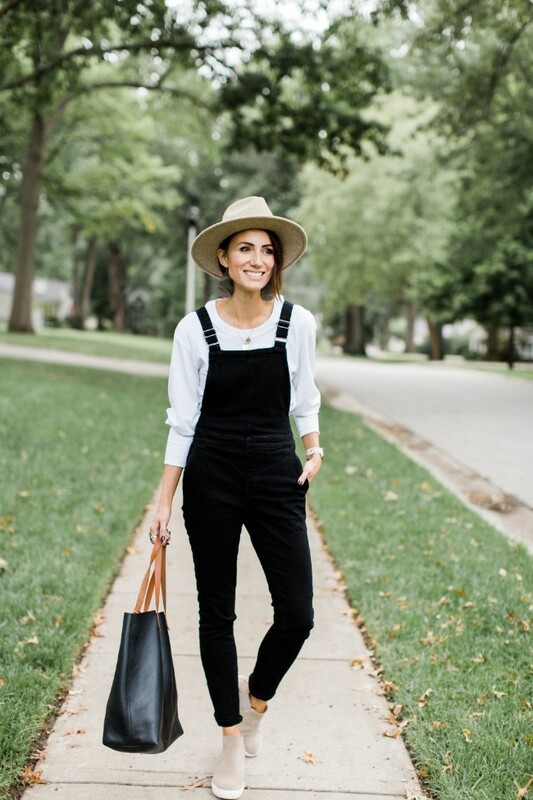 Overalls are not just for kids and they are way more versatile than you think! Yes, they work well with a basic tee or a graphic tee shirt, but they can be worn so many more ways! - Slim fitting is better. It takes a lot more work to make loose fitting overalls look good. You still want to be able to breathe and wear a range of tops underneath them so don't go skin tight but slimmer is the way to lean. - Don't be afraid to try them on. You'll need to see how they will fit and sizing on overalls can be wonky. - Stick with basic and simple designs. For best success don't branch out into button up, zip up or other variations on the basic overall style. - Try black or a dark blue denim wash. A little bit of distressing can also be great! 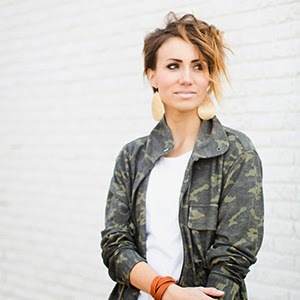 - Skip camo, colored denim and short-alls. Like I said- go simple and chic. - Easy, basic slim fitting tees are a no-brainer. I love this one and this one. - Try a graphic tee or a baseball tee in warmer temps. This casual look works well with Converse or Birks. 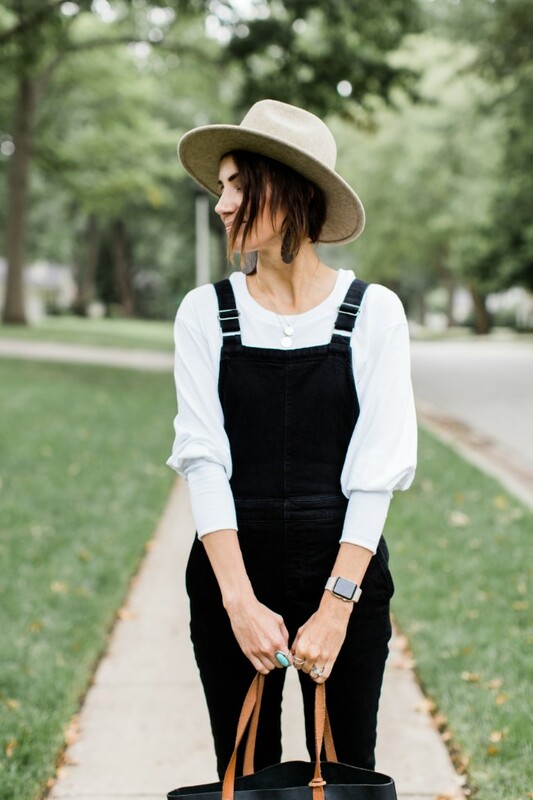 - Don't be afraid to layer a cardigan over overalls. If your overalls and under tee are slim fitting, a cardigan or jacket layered over top totally works. - Try a lace or white blouse for an unexpected pairing. Add a chic top to overalls and style with mules, boots or heels. - Interesting sleeves are trending. Use a puffed sleeve tee or something similar to add something fun. Today's top is exactly that. - A sweater can also work great under overalls. It depends on how slim your overalls are and how bulky the sweater is, but I say it's always better to try it! - A button up shirt is also a great option. Try a crisp white one, a chambray shirt or even a flannel. - Try a turtleneck. I rarely, if ever wear them, but I always think they look good on other people! A slim turtleneck would look great with overalls and ankle boots! - Don't forget fun accessories! A fedora, a big scarf, even a plaid poncho adds a lot to an outfit! 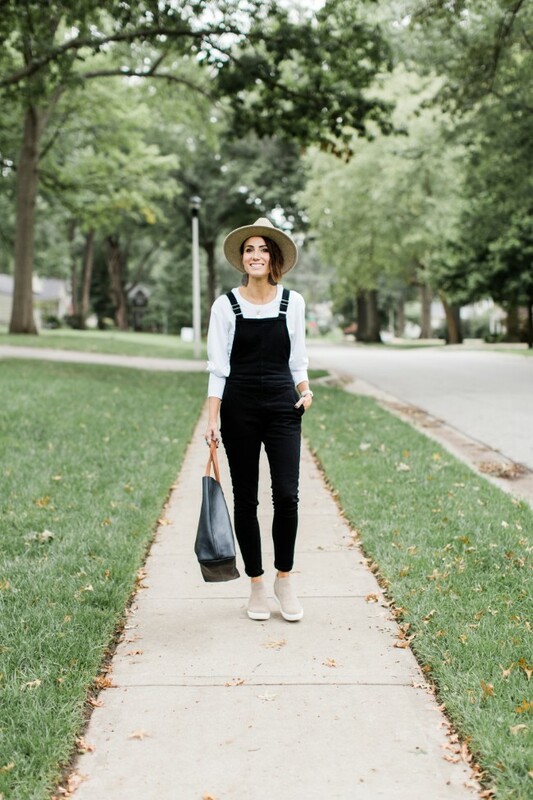 I've rounded up a bunch of overalls and tops for you to try based on my recommendations. 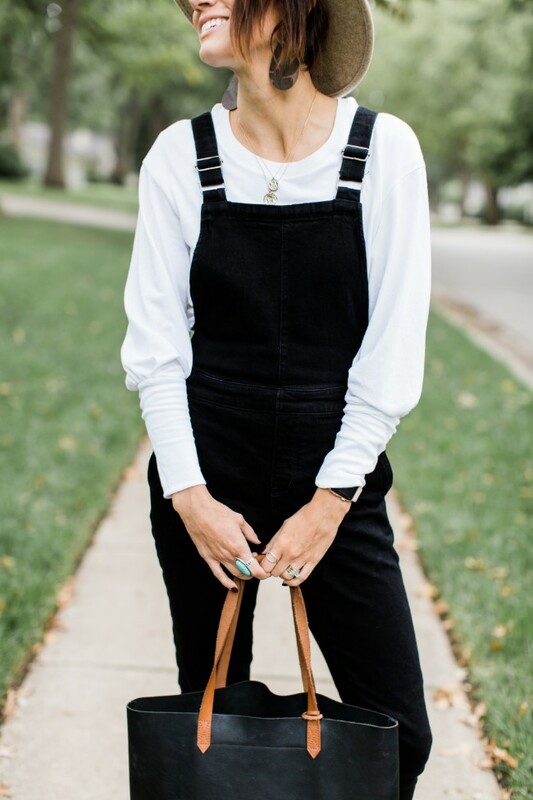 I think overalls- and fun ways to style them- may seem a little daunting at first, but that's the thing about any trend. You just have to try them, find what you love, make them your own and then OWN it! Nordstrom's free shipping both ways makes it easy to try a bunch of overalls and tops and pair them up. Plus they have a ton of options at many different price points in overalls and tops. I love that they carry so many different brands, including some of my faves like Madewell. 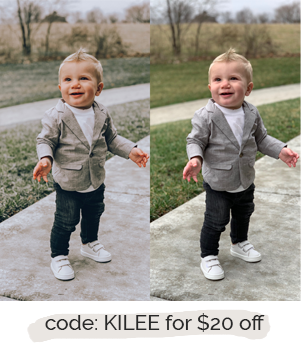 For more Nordstrom style picks check out this post and this post. Thanks to Nordstrom for sponsoring this post. As always, all purchases and styling were done by yours truly!